Land Rover has worked hard to shed almost half a tonne of weight from the Discovery, but at 2.2 tonnes it’s still a hefty beast. Hefty enough that, should you accidentally run over the removable luggage cover that you’ve carefully laid down, there’s only ever going to be one winner, which explains why there’s a pile of broken plastic in the back of my test car. Sorry Land Rover. However, such is the perceived strength of the new Discovery, it feels likely that anything that stands in front of it will simply be beaten into submission. This was put to the test at Eastnor Castle, Land Rover’s expansive off-road facility that is home to their customer driving experience. Rock crawls that would defeat almost anything on the road, deep water well beyond the bottom of the door, and bumps that twisted the suspension to extreme angles proved inconsequential to the new Discovery, but it’s what’s going on underneath the skin that’s impressive. Casually labelled as the ‘digital’ Discovery, the new car eschews much of the hewn-from-granite styling of the old Discovery and bins most of the somewhat archaic technology that underpins it, replacing it all with cutting edge tech. It’s immediately apparent as we venture off-road, with the rotary dial that controls drive modes being ultimately redundant – while it’s possible to select sand, snow, mud and ruts, and so on, setting the car up for what lies ahead, it’s also able to operate automatically with the Terrain Response system, switching between modes in the blink of an eye. Simply put, the car knows the terrain better than the driver. There are myriad aids to help further, with the equivalent of an off-road cruise control setting allowing the Discovery to make its way across tricky terrain at a precisely controlled crawling pace. It makes the driver feel invincible, requiring them to do nothing but steer the car. It is genuinely incredible. However, for all of its ability off-road, most will stay very much on smoothly tarmacked roads. 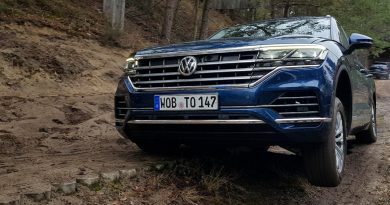 It’s here that it shows its bulk, as anything that weighs roughly the same as a rhinoceros isn’t going to feel particularly agile on twisty country roads. The Discovery has a good stab at it though, with the electronic air suspension hunkering down at speed. Grip levels are surprisingly high thanks to tyres as wide as you’d find on a Chevrolet Camaro, but body roll is quite significant and it takes some time to scrub off speed so confidence levels are unlikely to be as high as the car’s abilities. Find a straight road and it’s glorious, that air suspension smoothing out almost every bump despite 21-inch wheels, with the 3.0-litre V6 diesel engine propelling the behemoth to 60mph in just 7.7 seconds. It never actually feels that quick though, which could be down to a seldom enthusiastic gearbox, or it might be that you’re cocooned in a cabin that’s so luxurious that you barely notice the outside world passing by. A 10-inch touchscreen dominates the centre stack, but that’s enabled Land Rover to minimise buttons on the dashboard. 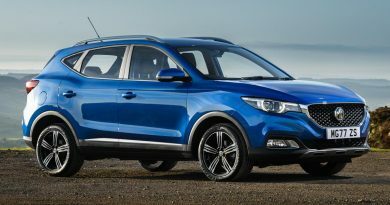 It’s got all the necessary connectivity, including a built-in wi-fi system that can support six devices in the car – coincidentally the same number of passenger seats. There’s also nine USB ports dotted around, so everybody’s phone can stay fully charged. Pleasingly, there’s still knobs for temperature and volume, so the basics can be carried out by feel alone. It’s all surrounded by plenty of leather, metal and high-gloss plastics, with acres of room for each person on board. Even the pop-up sixth and seventh seats can accommodate an adult, although that would count as cruel and unusual punishment on a long journey. Those rear seats, and the second row in the middle, all fold up and down at the touch of a button, while an app allows you to perform the task while away from the car. Perhaps that’s helpful at Ikea. 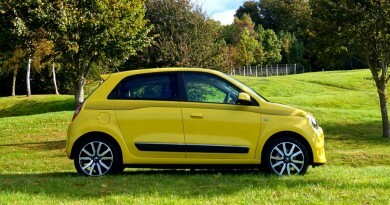 Despite seven seats, there’s even a decent boot, along with storage bins and pockets dotted around the car. There’s one hidden under the central cupholders that could hide enough Haribo to keep six kids happy for days, and there’s even a small cubbyhole hidden behind the air-con controls. Spacious, well equipped, capable on-road and unstoppable off-road, it’s tough to find fault with the Discovery. The big V6 diesel engine is barely any more powerful than the lighter 2.0-litre unit, losing just 0.3 seconds in the 0-60mph sprint, but the extra refinement alone might be worth the relatively small £1,500 uplift in price, and while it’s an attractive car I’m not convinced that the Range Rover Sport-esque styling works as well as the clean-cut utilitarian style of old. And don’t mention that offset rear number plate. There’s also the small issue with it being north of £60,000 for this spec (and more than £75,000 with the options fitted to it) but PCP payments are likely to be around £500 a month, which would make that more palatable. 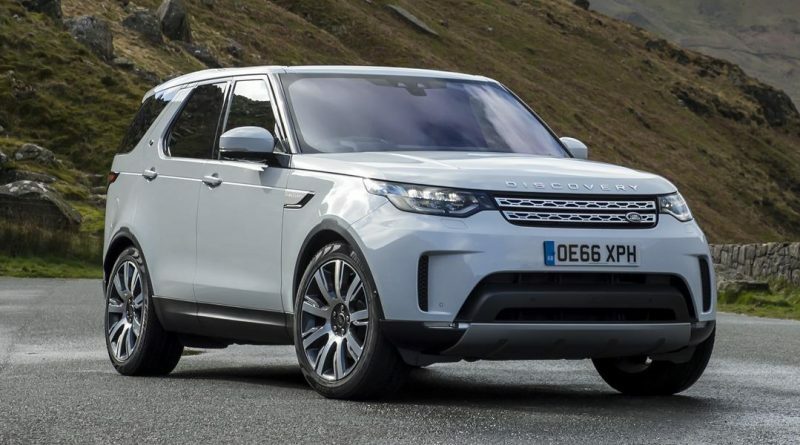 Think of it as a mini-Range Rover, albeit still a physically massive car, with all the abilities and more of the Discovery of old, and it starts to look like pretty good value.